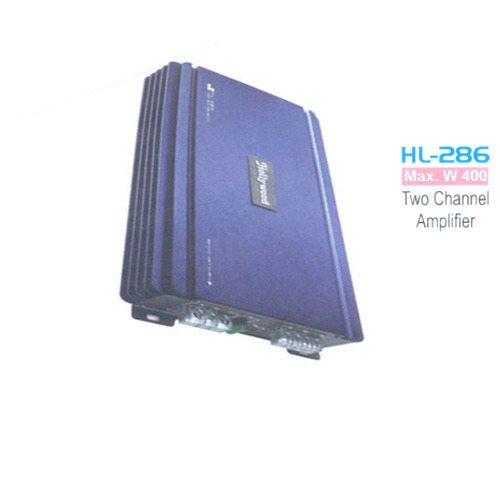 We have gained expertise in manufacturing and supplying high quality Two Channel Car Amplifier. Our product range is widely used for converting low-power radio-frequency signals into a significantly large power signals. High quality material is brought into use for manufacturing these amplifiers so that these are in tandem with international quality standards. "We provide the Distributorship of our products and provide One Year Replacement Guarantee." We "A G Electronics" are counted among the highly recognized and trusted organization involved in manufacturing and supplying a broad assortment of Speakers, Tweeters, Woofers & Amplifiers, since our foundation in the year of 1991.In this impeccable assortment we are offering Car Speakers, Car Tweeters and Car Amplifiers. We utilized superior quality components for assembling and designing of the offered selection of products. Owing to their best performance, attractive designs, longer service life and minimal maintenance, these products are highly appreciated and demanded by our valued clients. We are offering these products in various configurations to suit the varied needs of our client base. Our whole product selection is robustly designed and assembled under the supervision of dedicated and highly skilled professionals. These professionals are well-versed with various progressive technology that are incorporated for production the offered products. We have developed a modern infrastructure unit which enables our team to produce the offered products in tune with the assorted market demands. Our professionals ensure that the provided products are qualitative and in compliance with the globally accepted quality norms. To ensure it, each product is cautiously assembled by considering the feedback given by our R&D team and further precisely checked in our quality-testing unit.